These days, more and more people looking to travel are interested in taking on adventures that allow them to see the world and stay fit at the same time. 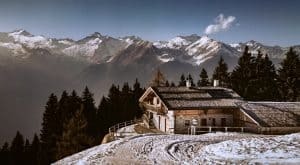 Although by no means exhaustive of everything the world has to offer, this article lists five alternative travel goals that combine the adrenaline of fitness training and the breathtaking beauty of these travel destinations. Canada’s Rocky Mountains cover an expansive area of around 180,000 square kilometres between the interior plains of Alberta and British Columbia’s Rocky Mountain Trench and is home to several national and provincial parks. The most accessible of these are Banff, Jasper, Yoho, and Waterton Lakes, which travellers can explore at their own pace. Hike up to the 1,700-meter Morro Peak in Jasper National Park for sweeping views of the Athabasca River and the mountain ranges, or try your hand at the remote and challenging two-day Tamarack Hike to the highest elevation in Waterton Lakes Park. Novice hikers can explore the Bow Valley Parkway in Banff National Park, which will welcome them with surreal limestone canyons and stunning falls. For art and adventure lovers, The Guardian recommends in late October to experience the Banff Mountain Film Festival. Arizona’s Grand Canyon is home to stunningly vast geological masterpieces and welcomes over five million tourists every year. Many explore the Grand Canyon Skywalk or learn about local culture at the Grand Canyon village, but more adventurous travellers looking to stay fit can try kayaking along the Colorado River through the Grand Canyon itself. shares that the highlight of the river trip for many travellers is the Lava Falls. 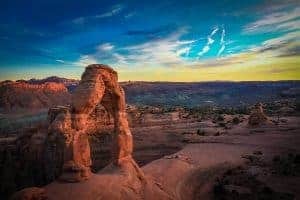 The canyon itself cuts around 5,000 feet into the earth’s crust and runs for 277 miles, giving travellers a wide array of sights and wonders to absorb. 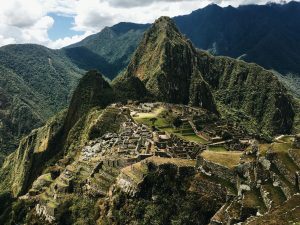 A world heritage site and lauded as one of the New Seven Wonders of the World, Machu Picchu is a 15th century Inca city nestled atop the Andes Mountains in Peru within tropical mountain forests. Machu Picchu can be reached via several trails and treks. The most popular of these is the Classic Inca Trail, which traces the steps of the lost Incan society through stunning scenery from the Sacred Valley to the city itself. Other treks include the more challenging Salkantay Trek and the culturally immersive Lares Trek. For a more holistic experience, Lottoland recommends staying longer to explore the Sacred Valley itself and the adjacent city of Cusco. Whatever option you choose, the “Hidden City” is sure to delight and amaze in equal amounts. 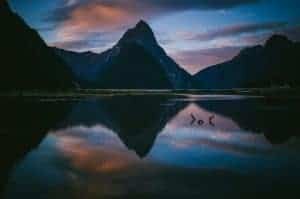 One of New Zealand’s most famous destinations, the Milford Sound sits within the Fiordland National Park and can be traveled by kayak, foot, or air. 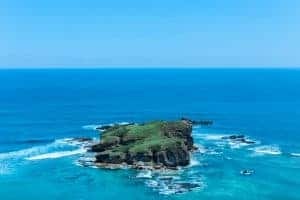 The Telegraph proclaims an adventure to this stunning paradise as the Trip of a Lifetime, with its tumbling waterfalls, ancient rainforests, granite peaks, and sparkling lakes. Exploring the water by kayak allows you to take in the breathtaking sights of Milford Sound, as well as the occasional sighting of seals, penguins, bottlenose dolphins, and even humpback whales. The Aeolian Islands are a volcanic archipelago occupying the Tyrrhenian Sea just north of Sicily, and were named after Aeolus, the demigod of winds. The islands are home to smouldering volcanoes, mud flats, and steaming fumaroles, which make for a truly unique adventure. Pass by Lipari, the archipelago’s largest island, to explore its crumbling fortress and watch the sulphuric steam that rises from its active craters. Afterwards, The National Geographic also recommends hiking towards the cliffs of Stromboli and exploring black-sand beaches of other islands. If you liked these destinations or have any recommendations to add, feel free to share them on our Facebook Page!